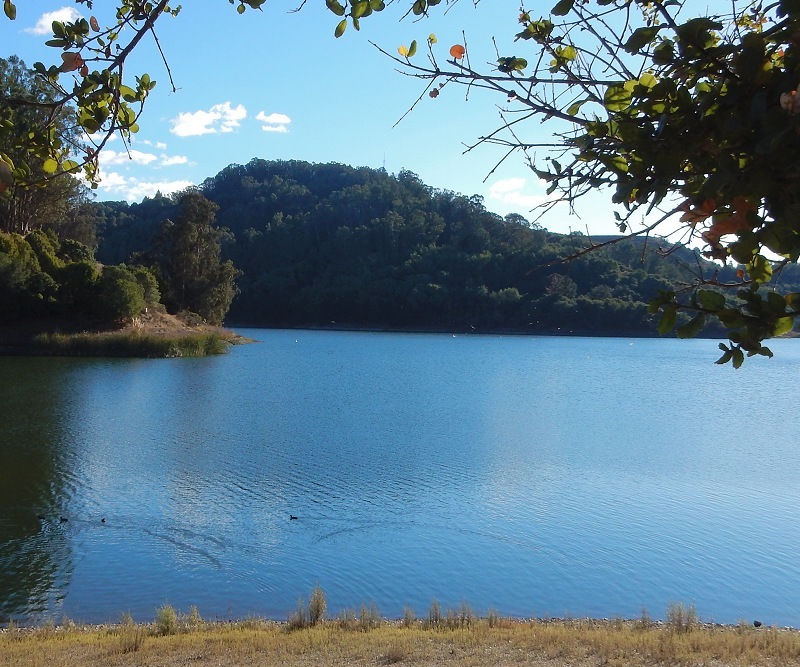 The hike on the Goldenrod Trail from the Grass Valley staging area, where Grass Valley Road meets Skyline Boulevard, down to Chabot Reservoir is a lovely walk. 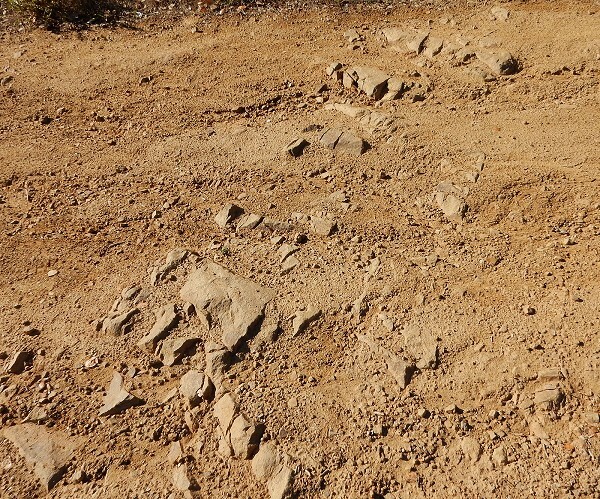 On the geologic map below, it’s the dirt road between the two O’s on the right side. When I walked here the first time, a few weeks ago, the idea was to check out the Franciscan Complex — shown as blue in the geologic map — where it crops out along the lake. 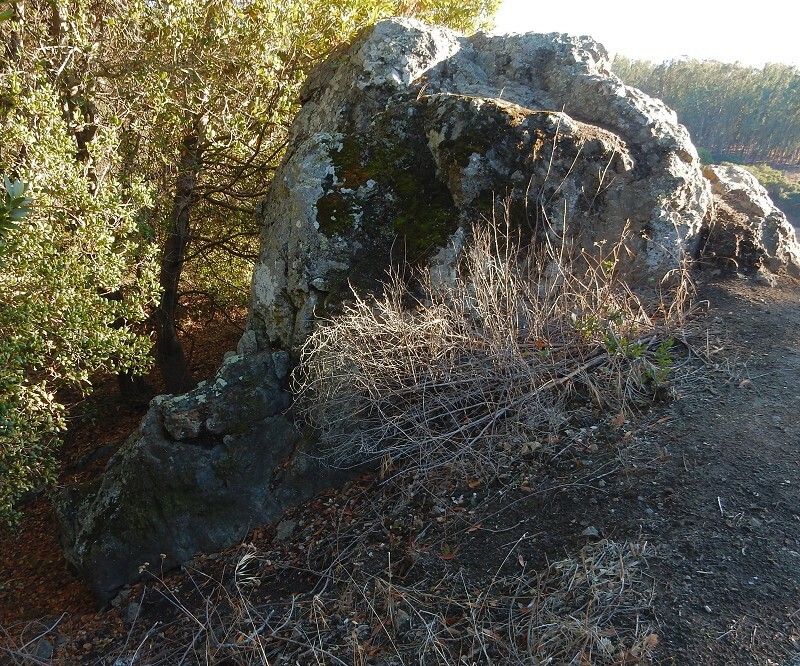 On the east side is the Joaquin Miller Formation, which is a straightforward sandstone here. 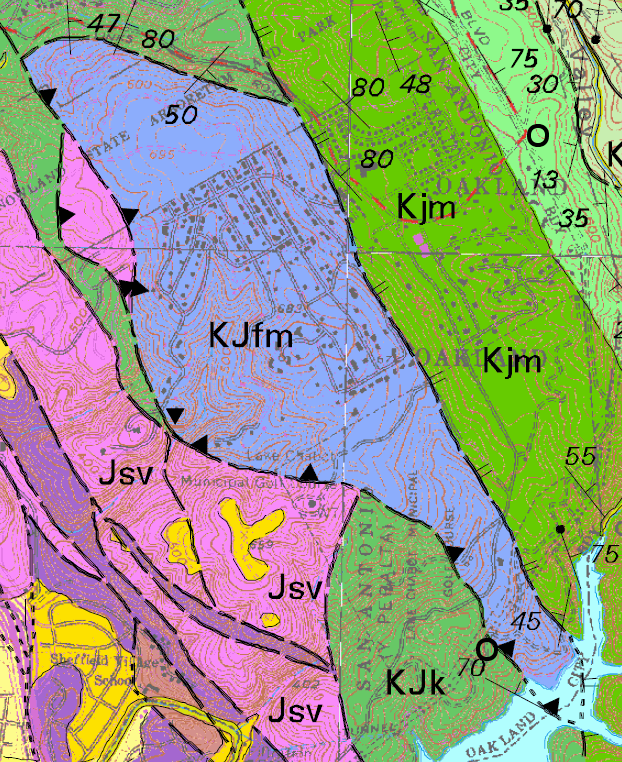 And on the west side is the Knoxville Formation, which is a straightforward shale here. 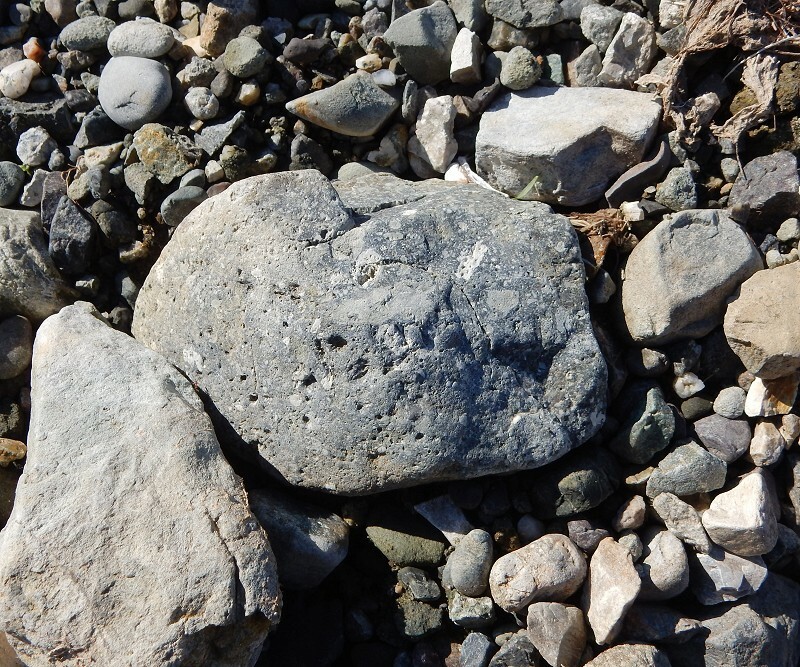 Nice rocks: brown, crumbly. Trees like the soils they make. They don’t stand out. In between is something completely different: blue and green metamorphic stuff. You’ll see it in boulder piles. You’ll see it in knockers. And you’ll see it along the lakeshore. 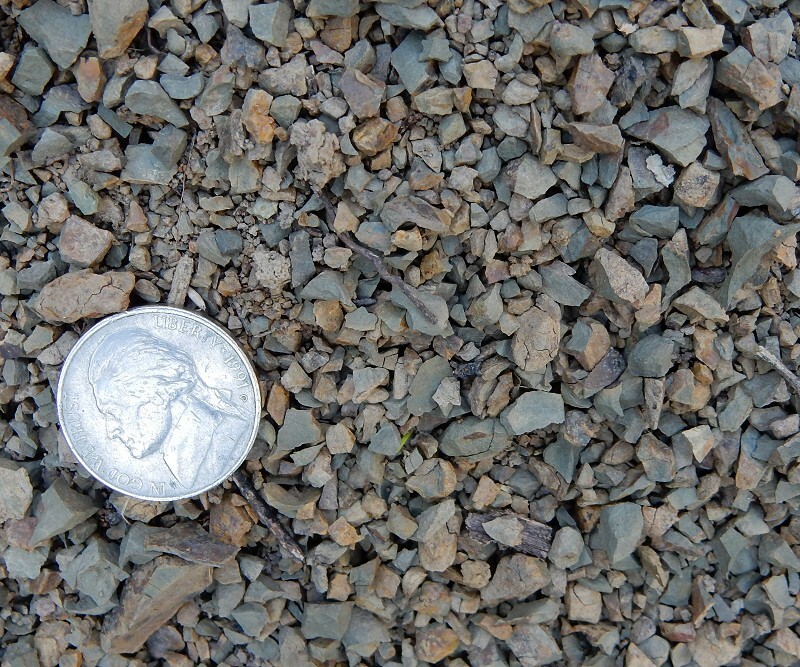 The other two formations leave plain old sand, which the birds seem to prefer, but the Franciscan gravel is worth looking at close up. The cool weather is a great time to explore this part of town, even if you don’t care about rocks. The hill here is Fairmont Ridge — its forested back side. If you’re used to seeing it from anywhere else in Oakland, you won’t recognize it. And that’s what makes this a getaway. 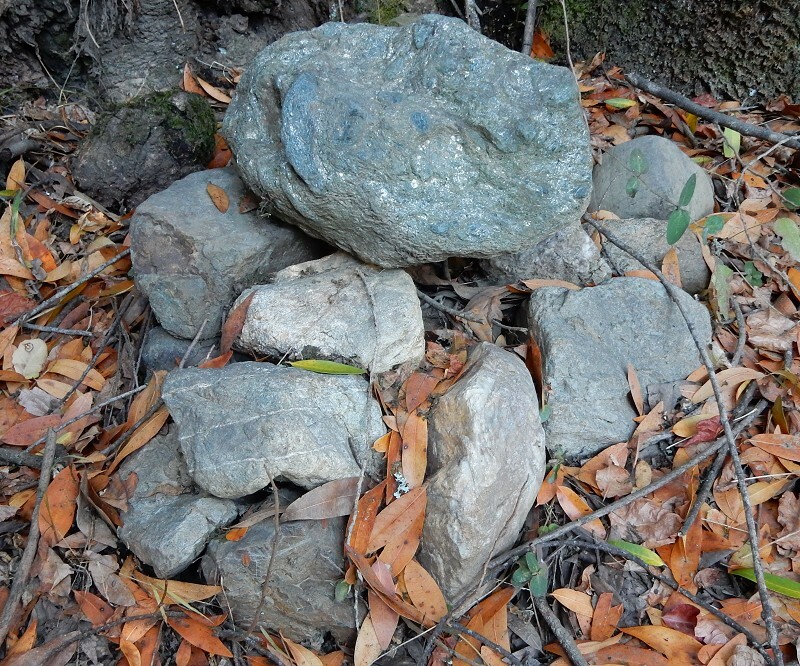 This entry was posted on 30 November 2015 at 8:03 am and is filed under Franciscan rocks, Oakland blueschist, Oakland geology walks. You can follow any responses to this entry through the RSS 2.0 feed. You can skip to the end and leave a response. Pinging is currently not allowed.